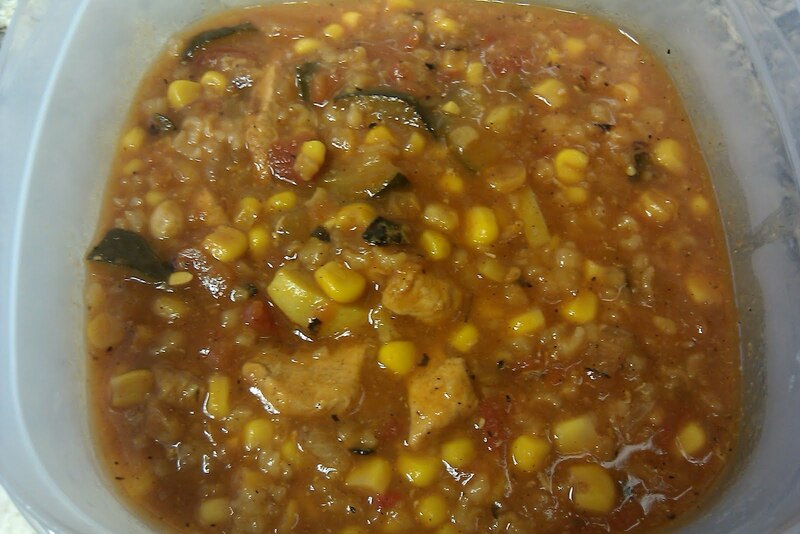 Add cooked chicken, Rotel, corn, tomato soup, chicken broth, tomatoes, and rice to crock pot. Saute squash/zucchini until soft; stir into soup mixture. Add salt, pepper, and cumin to taste. Cook on High for about 2 hours. Serve with tortilla chips, sour cream, cheese, and fresh cilantro.